It's easy to complain about something, but where does that do for you? It turns you into a grumbling mess that no one wants to hang out with. 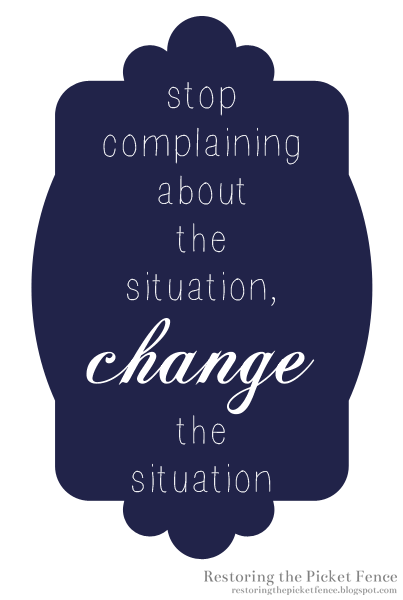 The next time you find yourself complaining about a particular situation, stop, and think about what you can do to change the situation instead.